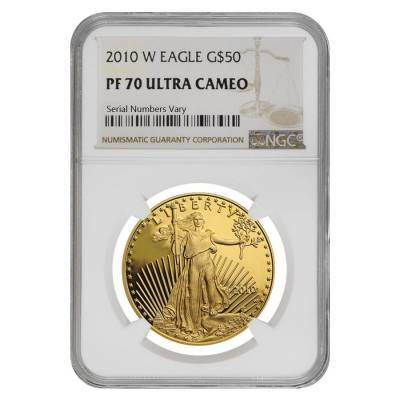 This 2010 W 1 oz $50 Proof Gold American Eagle NGC PF 70 is an excellent choice for any kind of buyer. The coin is graded a flawless Proof 70 by NGC, making it a must-have item. The obverse features Lady Liberty holding a flaming torch and an olive branch. The background shows the Capital building along with the sun's rays. 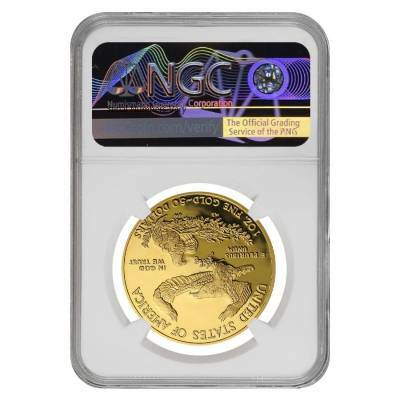 Inscriptions include the phrase "LIBERTY" and the year of mintage. The reverse displays a family of eagles with the male soaring in the air as the female eagle cares for their hatchlings. Inscriptions include the weight and denomination. 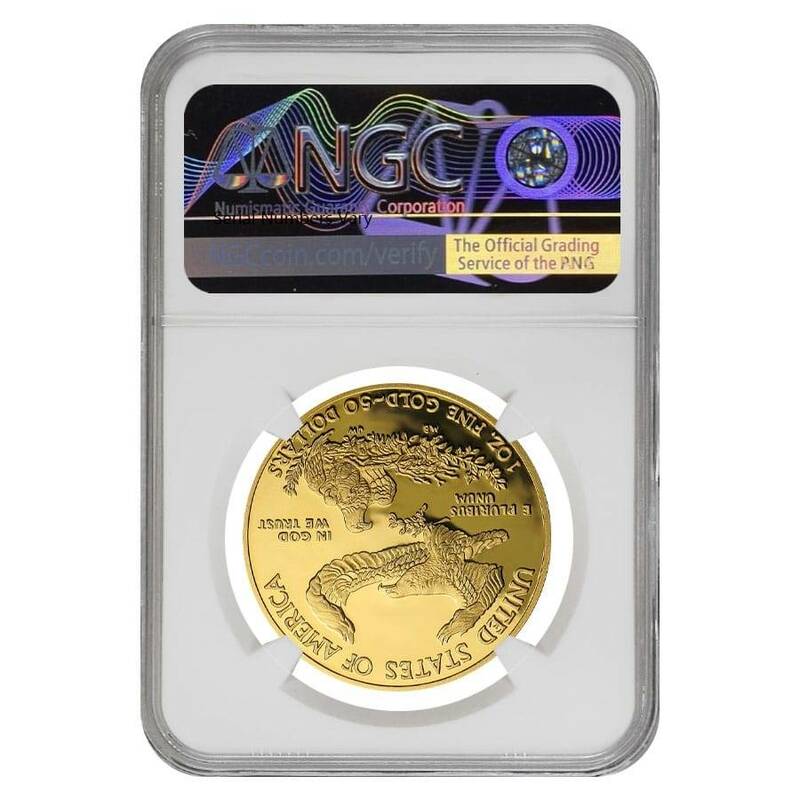 With this purchase, you earn 1447 Bullionaire Bucks 1447 BB = $1.45. We currently have 7 of this item in stock. For every $1 spend, you will earn 1 Bullionaire Buck which is equivalent to $0.001 off a future purchase. 1447 BB = $1.45.